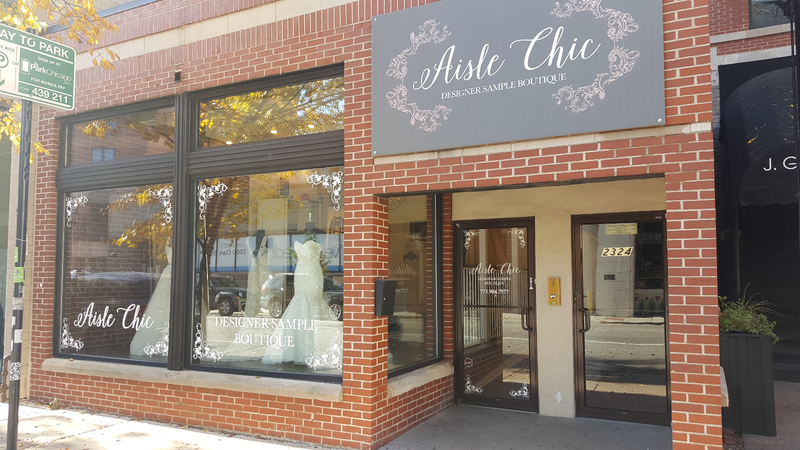 Aisle Chic is Chicago’s premier designer sample boutique. This charming showroom in Lincoln Park features couture bridal samples at prices that can’t be beat. Gowns by Hayley Paige, Lazaro, Ines Di Santo, Galia Lahav, Pronovias and more are offered for between 30 and 70 percent off the original sale price! Samples are curated from couture bridal salons across the country as well as directly from designers. The team at Aisle Chic believes that brides shouldn’t sacrifice a luxe experience in order to get fabulous prices. Everything from the knowledgeable stylists to the boutique’s posh environment keeps the focus on the bride and her memorable gown shopping experience.